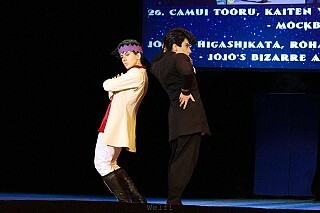 I think soon there'll be many more JJBA-related photos here because I feel that Kaiten and I have fallen into this fandom deeply! 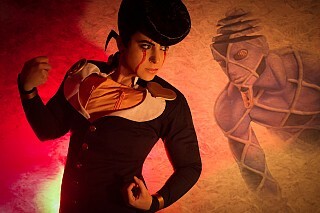 it really inspires us and literally gives us power to live and create no matter what. 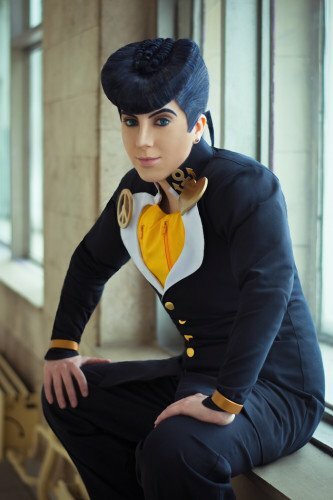 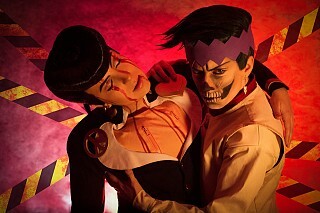 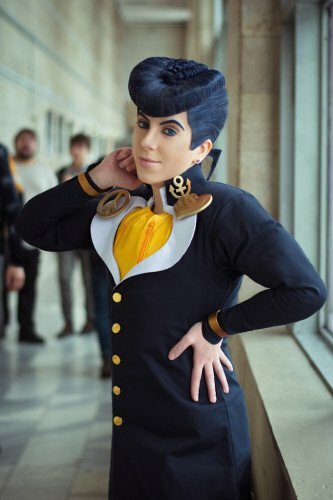 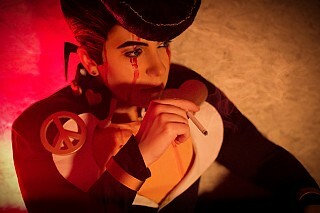 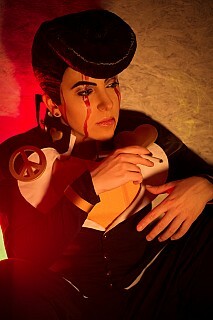 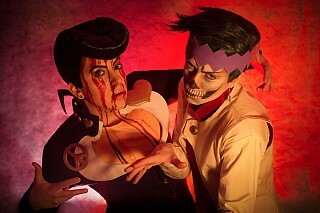 Josuke is my favorite JoJo so I'm glad that he's my first (though definitely not last) cosplayed character from JJBA. 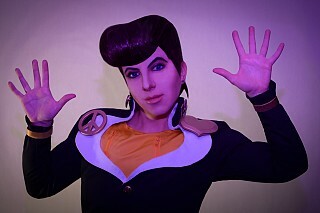 I started working on this costume in October 2017 and it required about a month to complete it. 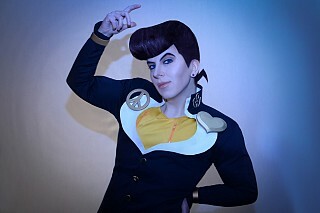 I can admit the making was difficult. 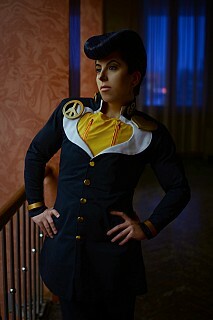 At the beginning Kaiten (who made Okuyasu first) and I spent a lot of time looking for suitable blue fabric. 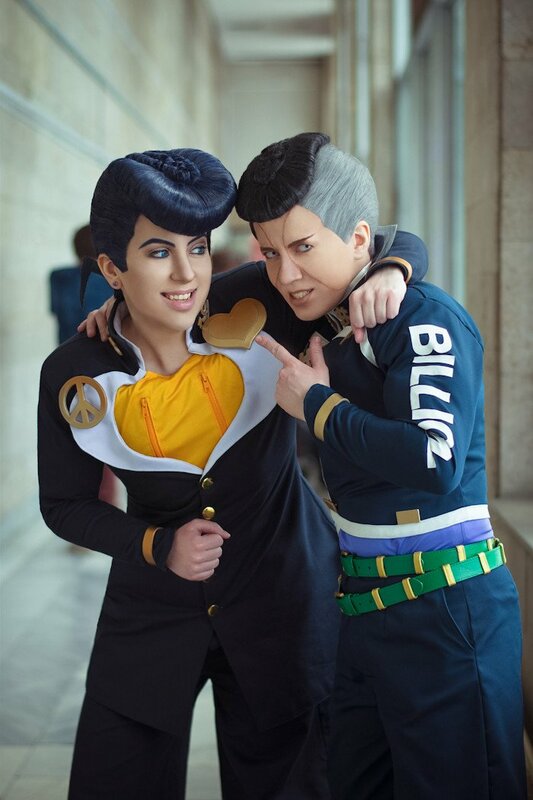 Then we had some troublesome work with body-modeling and costumes fitting trying to keep their proportions as close to the original as possible. 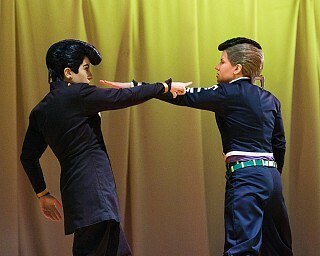 But styling of wigs was no doubt the most difficult part of this making. 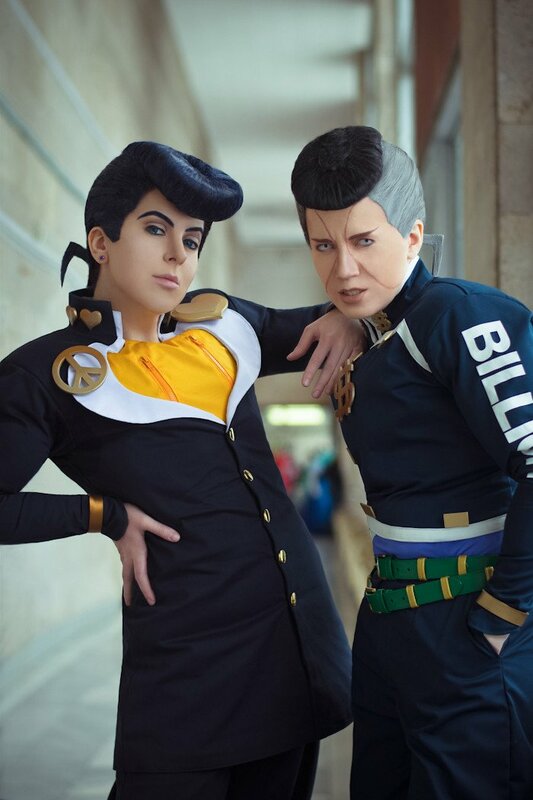 Unfortunatelly we were out of time before cosplay convention we were going to perform at so we made both Josuke and Okuyasu wigs last night before our defile. And then Kaiten made the second version of Josuke wig (also a night before another cosplay performance) and now I'm quite happy with it though I still think there's always a room for improvement! 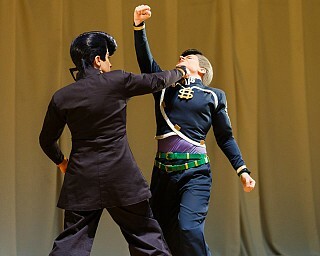 My first Josuke defile was with Manga cover vol. 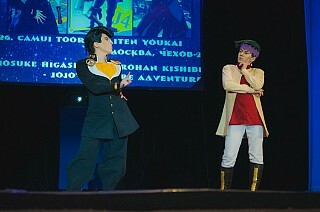 36 variant but main costume appeared on stage a couple of weeks later, now with Rohan, and we made a little fan service defile including our favorite Savage Garden song 'I Want You' which was used as Diamond is Unbreakable ending. 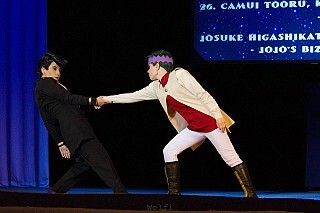 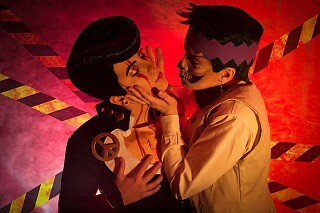 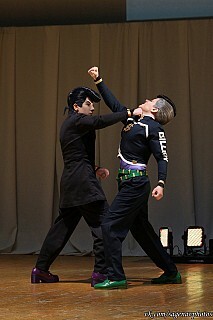 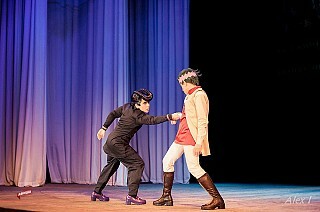 And in March 2018 my Josuke returned on stage accompanied by Okuyasu with bro-fighting defile again. 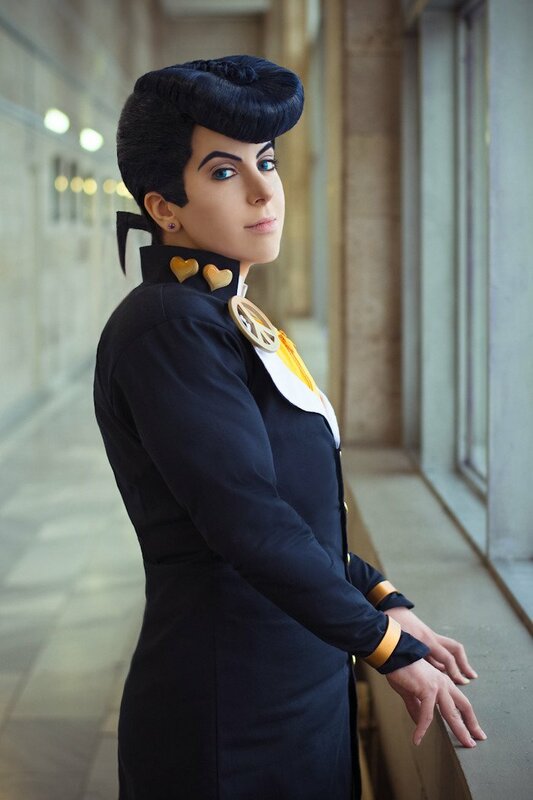 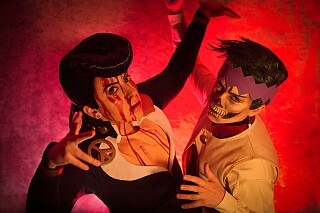 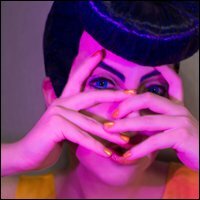 I have performed in Josuke cosplay three times and have taken part in a couple of spontaneous photoshoots but I'm sure it's not the end of this costume history cause I really don't want to say goodbye to my dear Morioh boy. 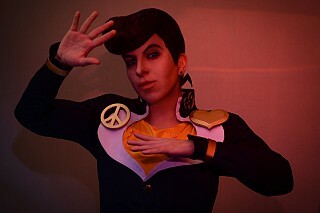 So I think I'll do more variations of his uniform!